The Coconut Industry Board is a statutory body established by the Coconut Industry Control Act of 1945. Since formation, it has been responsible for monitoring and informing the Government of Jamaica of the state of the coconut industry; administering regulations for the manufacture, export and import of coconut products and substitutes; advising growers on agronomic best practices and providing them with planting materials. 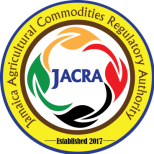 On January 1, 2018, the regulatory functions of the Coconut Industry Board were taken over by the newly formed Jamaica Agricultural Regulatory Authority (JACRA), which is responsible for the regulation, promotion, standardization and development of the agricultural commodities industry.